I was at Seminar and it was my third time in DIQ. (I would go through one more time before I hung up my heels.) I was on my way to the director’s meeting. My husband and I had just gotten off the plane, and I ditched my poor hubby with all our luggage, and ran like the wind in three inch heels to get to the meeting. Nothing quite like that red polyester jacket to give you a sauna treatment in Dallas, is there? As I walked into the hotel, I met up with a new DIQ in our area who had also just finished her car. It was her first time through DIQ and she’d just signed 5 women the day before. Four of them activated the same day. She had 21 active consultants at the end of her third month. My jaw hit the floor. I had 20-some on my team, but only 11 active. What was this chick doing?! She explained to me: “All you have to do is sit them down, sign the agreement online, and then without letting them think about it too long, have them fill out the MK Chase Visa credit card application. You get on the spot approvals, and then you just place their order. It all done in a little over an hour!” (She finished DIQ the following month, and taught at fall retreat about her methods). Not only had that thought never occurred to me, I wasn’t sure how I felt about that. I’d long had reservations about telling women to buy inventory on a credit card, but since that was the MK way, I’d done it, albeit with a lot of hesitation and clarification during my inventory talks. (My director believed once you started DIQ, you were on your own, so I did it all for my recruits and their recruits – debuts, inventory orders, daily phone calls, etc. Gee, it’s so much fun to do a director’s work and not get paid for it. Woohoo!) So I walked the rest of the way to the meeting on my own, pondering this DIQ’s words. Inside, there was a panel with the top directors in our area. As I stepped in the room, all the sales directors I knew came over and hugged me, which is what I loved about this whole business. Everyone knew me, and I loved being one person that always got asked for her scripts, as I cold called and booked better than anyone. The question went to the panel. These directors were all half-million and up. There were the typical answers: you need to offer more, believe in your hostess credit, coach better, believe that what you have to offer is better than anything they will get elsewhere, etc. A million dollar direct sat there silently, clearly warring with whether or not to make her statement. Finally, she held up a hand, and everyone grew silent. When you’ve done million, you get a modicum of respect. Her voice shook when she spoke. She said, “I don’t know what the numbers are, and I’m not sure why, but they are not always what we say they are. Women today are busier, have more going on in their lives, and are tired, ladies. I’m not sure what my numbers are, but I know that I have to call more than 10 to get them to book, and I have to book more than ten to get 5 to hold.” She continued on, stating that this may have a lot to do with why consultants get frustrated. She clearly did not want to alter the status quo, as she didn’t feel like she had a replacement answer, but she was training her girls that they had to do more to get results. I was in the top three in my area. I was a seller, and I didn’t have a ton of inventory. I talked to my national, called her, was called by her, and knew her kids. We were close, given the relationship most consultants have with their national. So I’m not saying this to be nasty or exaggerate. My NSDs face closed down. This director had put her on the map as a national, and everyone loved this director. Treading carefully, my NSD poo-pooed what the director said in subtle, manipulative ways. “Things have changed for women over the years, and we do, in a service driven business, have to be sensitive to their needs. Depending on your geographic area, perhaps the numbers are different…” etc. etc. etc. I’m sure you can fill it in from there. Can you imagine the whispers after that meeting? The director was practically apologizing at dinner that night. Here’s the deal – what they believe is so fragile, so founded in these roots of 30 faces, 30 days, 3+3+3, book 10 to hold 5, etc. that anything that flies in the face of that has to be silenced. Even if you have some serious sales chops, the cards are stacked against you. When I got home from seminar, I (like a good little automaton) asked my director about the other director’s statement. She, of course, did damage control. But the first director’s words stuck with me. I did more calls, more numbers, worked through even more setbacks. Over the next six months, I did an average of $1,300 wholesale each month. I didn’t carry a lot of inventory, so these orders represented actual sales of products. I had $1700 worth of inventory at the end, a logical amount for someone who sold as much as I did, over four years. I ordered what I SOLD – yet still didn’t show a dime of profit. I finally came to realize that this is the norm in Mary Kay. Even if you are selling, the cards are stacked against you. The numbers they preach are a lie. It’s almost impossible to book consistently and have those appointments hold. But who in Mary Kay is willing to tell you the truth? Not the directors and not the NSDs. 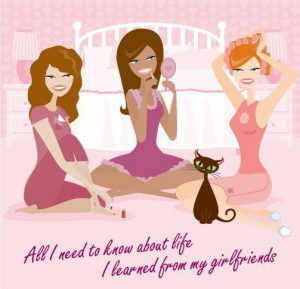 Little Did You Know How Easy Mary Kay Is! It’s based on the 1960’s when calling this a party was accepted. Many women weren’t working and needed to get out once in a while. There weren’t that many make up stores and the web didn’t exist. When those original Directors booked classes, they could easily get women to book. Those classes held. Also recruiting was easier as women were looking for work they could do around their family. After the 1980’s women got more savvy. Amway let us know that mlm/pyramid schemes were a reality. MK solved that with the dual marketing strategy. It’s the small lies that eventually become big lies. Training is free, you can win a car, the products sell themselves and you can do this part time. It’s the directors announcing their huge checks (Which were from years ago). It’s going to seminar and seeing DIQ’s, red jackets and directors quitting immediately after. It’s going into a woman’s home and seeing her yellowed products on shelves. No one wants to admit they’ve been taken in by this woman’s club. Little by little though the inconsistencies eat away at your conscience. Little by little your husband gets upset and even your young children resent MK. For months after I left MK I missed it. I was so indoctrinated that I had myself believing that returning my product was a huge mistake. This 50 plus company has become very good at convincing women they can make executive income. Not only can women make executive income but they can do it while being there for their families. MK makes it seem that they care and that it’s like one big sisterhood. The reality is those scripts are designed to convince us to front load. Sadder is that within a few weeks the company often changes the products at the expense of the women. No one cares about the women trying to book those classes and open houses. No one cares about how unsafe it is to go into the house of a stranger and try to sell skin care. No one cares about the costs including: gas, clothes, product give away etc. In the end women are numbers to be used and lied to. Soon the Christmas open houses will begin. Do yourselves a favor and don’t purchase the Christmas products. No one wants those perfumes, men’s products or lotions. Better still return your product and enjoy Christmas with your family. You probably could get a part time job and still earn enough for Christmas. I still do not understand why we need a Kaybot to order a a face cream. In under a minute I can pull out my phone, open the Sephora app and have a face cream on its way. No trying to find a rep, and I get fresh product from the warehouse. Why doesn’t MK just get “customers” to order directly from the site and skip all the nonsense of having consultants. Even brands with very little exposure can sell online so MK should be able to. (not that I would even buy MK then). Because MK is an MLM scam. It’s not about the product!!!!!!!!! The product is just a tool used to convince MLMers to invest money in a Ponzi scheme. MK just happens to use cosmetics to cover up the scheme with product turning a Ponzi into pyramid scheme, but they are essentially the same idea. You can order the same way for MK…. on eBay. Yeah, stick with the Sephora website. Quality control and customer service is much better. You have to give out 25 business cards in different locations to get 5 actual contacts- make sure you text them right then and if they play ball it’s a contact. You have to book 25 to get 5 appointments to hold and make sure that you book the appointment with the glamour girl. Also if you wanna get a lot of contacts, give out little baggies with a few pieces of chocolate in it. I guarantee that you will spend MORE money than you actually make.